Google My Business is a powerful digital marketing tool that often gets overlooked. Most business owners think of it as the online equivalent of an old-fashioned phone book listing. On its surface, that’s what it is, but it can be so much more. Too many small business owners are missing out on their chance to optimize GMB to its fullest potential. Since GMB is free, these options are perfect for the already-stretched budget of a small business. Be seen on Google maps. When a potential customer is on Google Maps getting directions to a location near you, the name of your business will appear on the map. This is helpful because it catches the attention of those in the area that may not be initially looking for a business like yours, but may be interested in stopping by once they see you are near their original destination. Being on Google Maps is a great way to use the World Wide Web to target your local market. Post events, products, and services. The post can be easily created on a desktop or on a mobile device from your GMB dashboard. These posts are similar to posts that you would create on other social media platforms. Posting about what is happening now on your GMB listing keeps it fresh and up to date so those who are searching online know you are an active and thriving business. In your posts, include pictures. Not stock photos, but actual pictures taken at your location. I’ve been noticing these pictures are pulling in analytics which means they make your GMB listing stand out. In digital marketing, nothing catches the eye of a potential customer like a video. Google My Business videos can be no longer than 30 seconds. The video doesn’t need to be professional or complicated. A simple one with your smartphone will do fine. In fact, it may do better since people are drawn to genuine content. Once you have more than one video on your GMB listing, your listing will feature a videos tab. Even though the video is archived after a week, the video posting is still worth your time. Find out how to upload a video step-by-step. Visitors share real-time location when on mobile. Encourage your clients and customers to check in through the Google Maps app on mobile to let others know that they came to your business. Post a sign in your business asking clients to check in or share their location. Here are the step by step instructions for how it is done. This is one of the greatest advantages to Google My Business. Some other online review websites discourage business owners from soliciting reviews. On the contrary, GMB encourages business owners to ask for reviews. Don’t just rely on people to think of giving you one. Ask for them in your marketing messages through email or in person as they check out. 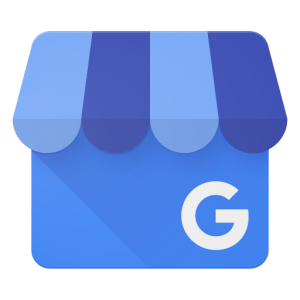 Once you start gathering some Google My Business reviews, showcase them by adding a link to the top of your website. That way whether someone is checking out your business through your website or on Google, they are sure to see feedback from other happy customers. In digital marketing, consistently reviewing Google Analytics is one of the key ways to get feedback on whether your online marketing messages are reaching your audience. You can access your analytics easily when you connect Google Analytics to your GMB dashboard. Find out how to connect them here. It’s important to remember that your Google My Business listing will not be optimized unless you continue to maintain it. GMB is not a wind-it-up and watch-it-go tool. You can keep up with its benefits by breaking down the maintenance tasks into a manageable schedule. 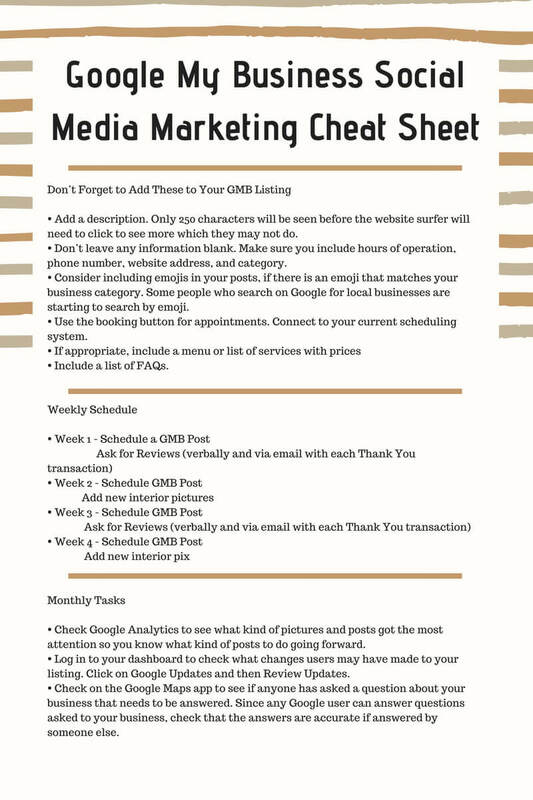 I have done the work for you with the Assistant Angel Google My Business Social Media Marketing Cheat Sheet. Do you have more questions? 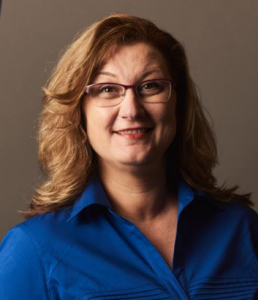 Contact Assistant Angel today!